I thought this Wine Wednesday post more appropriate today, as it being the last day of the year and lots of celebrating will take place in the next 24 hours. 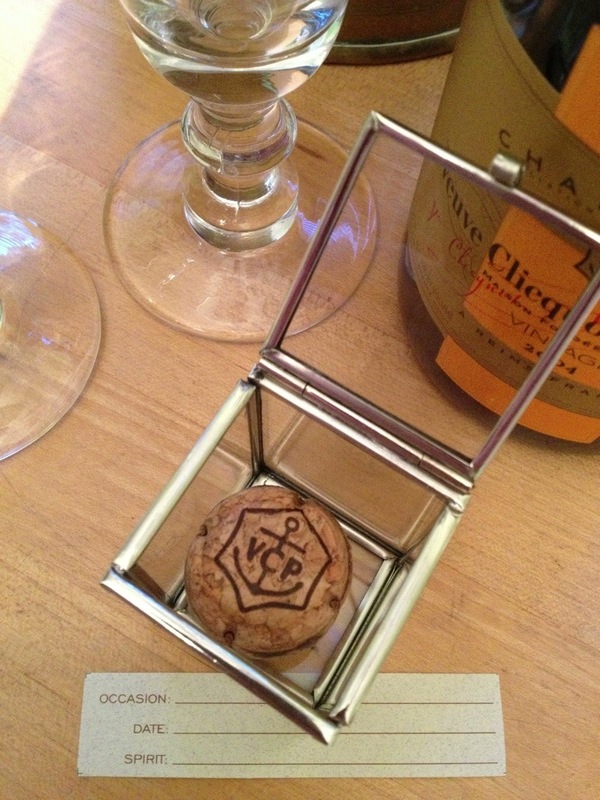 I also thought an homage to my beloved Veuve would be fitting to end the year. 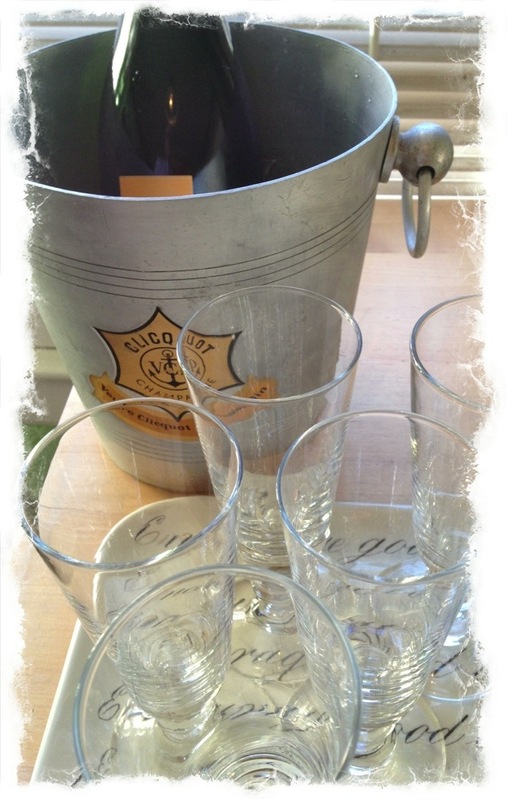 That it is Veuve Clicquot La Grande Dame, makes it even better. This is one seriously special vintage bottle of wine. The one we will enjoy this eve is 2004, but any vintage year is going to be sublime. We had our first bottle of La Grande Dame in France many years ago when we went to Reims for my birthday, a cherished memory that made a life-long fan out of me. 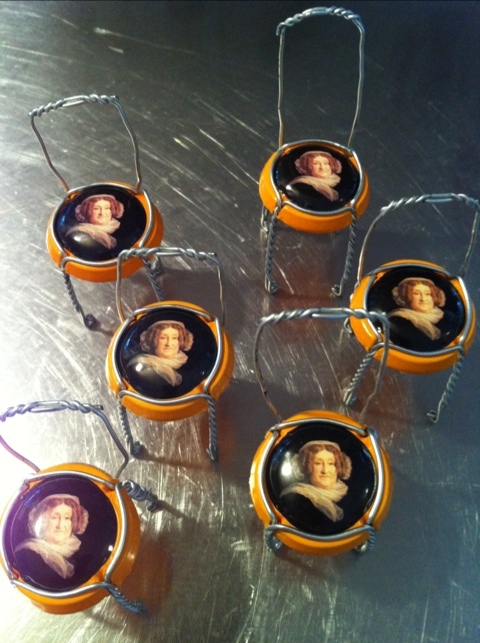 Veuve Clicquot’s Prestige Cuvée, La Grande Dame, is a very great wine which pays homage to a very “grande dame de la Champagne,” Madame Clicquot. The incomparable finesse of this cuvée results from a blend of eight of the House’s traditional Grands Crus. This wine has a fine, complex fragrance, blending sweetness and nobility. It is smooth and silky in the mouth, with considerable substance and structure. A remarkable balance, with a fresh, harmonious finish, and a unique aromatic aftertaste. However you choose to celebrate this eve–whether with wine or water, a large party or solo, I wish you the very best. Thank you so much for following along on our adventures of life. My hope for all of us in this new year is that it be filled with experiences that make us learn, love & grow. To take time each day to give thanks, to laugh. To be all we hope to be. 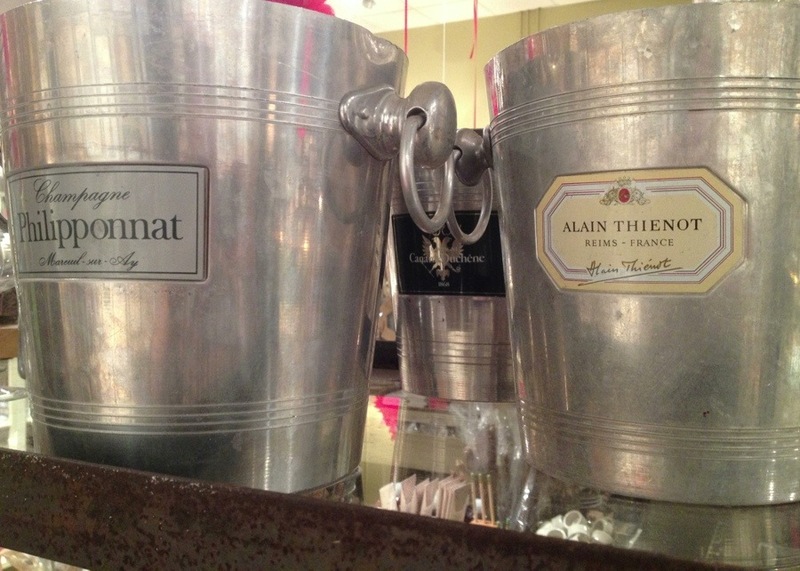 This Wine Wednesday post is not about a particular bottle of wine, but of an idea for the season. 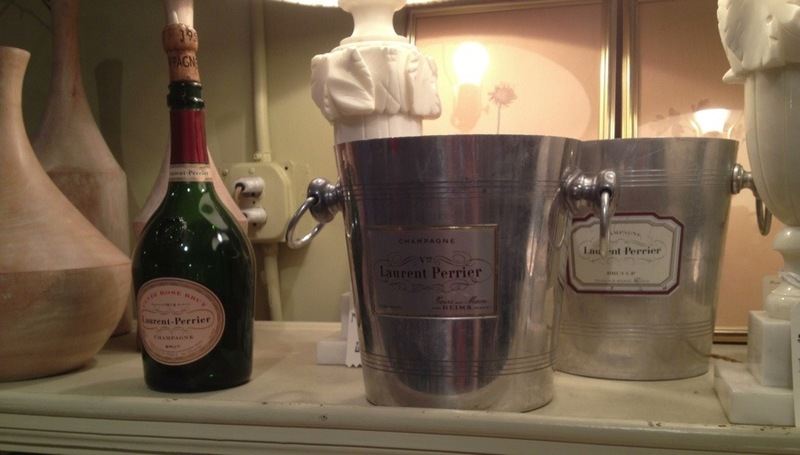 Champagne is usually at its best price of the year in November and December. So now is the time to stock up. 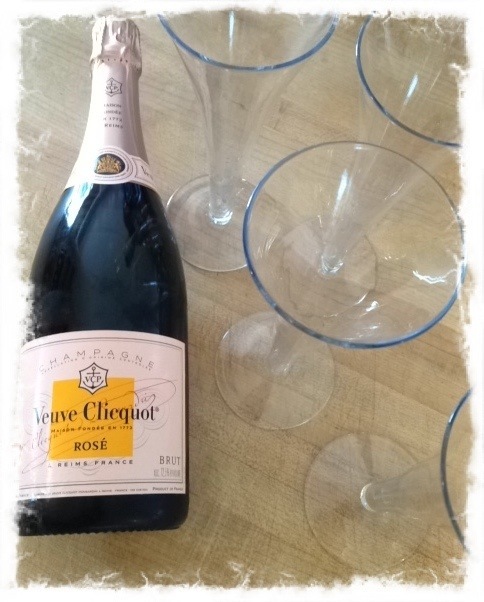 On Thanksgiving we asked folks to bring a bottle of rosé Champagne to the day. We thought it would be a festive & bubbly way to start the holiday. We also thought it would be fun to see what folks chose, thinking most likely each world pick a different one. We were right! The group got to try a bunch of different bottles that many of us had never enjoyed. Favorites picks were bantered around. What was liked and certain notes pulled from each. It was really fun. 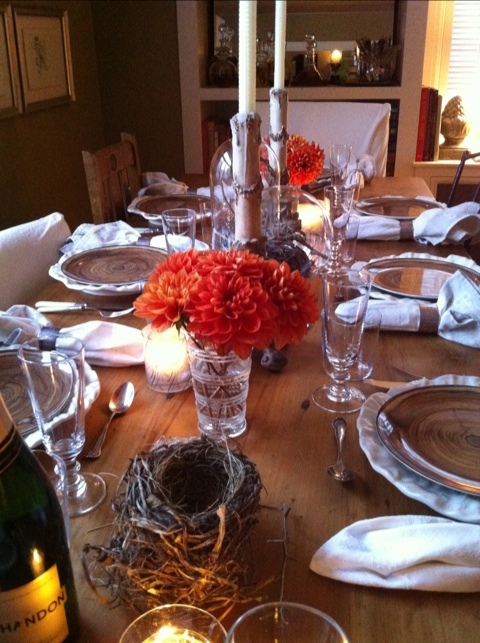 Guests so often asked what they can bring to a meal, and so often all that is already covered. 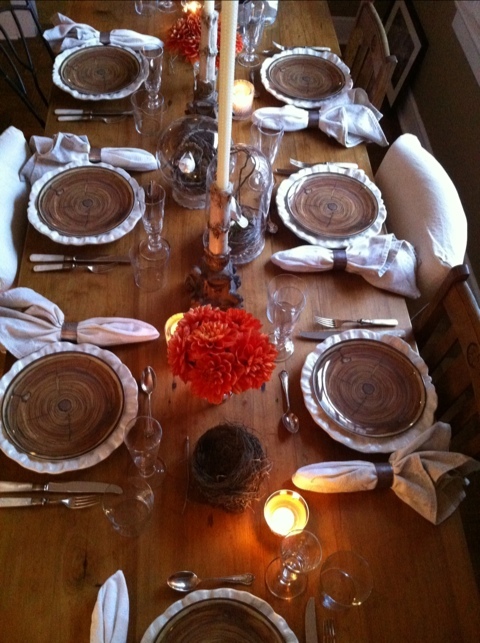 A tasting before the meal or with the meal is a lovely way to have guests feel like they contributed. Choosing a certain type of wine for guests to bring also insures a certain level of cohesiveness to what you are planning for the appetizers or meal, depending on when you do the tasting. We started the holiday with a good variety of appetizers that would work well with rosé Champagne, so I just opened a bottle at a time so everyone could try a bit from each bottle. 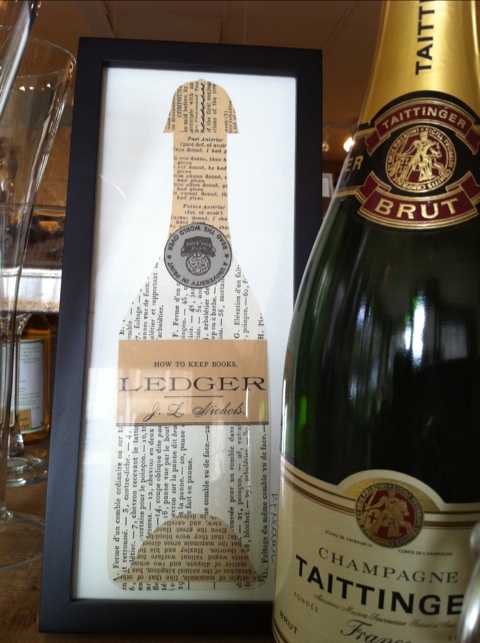 This is certainly not limited to Champagne. A certain wine from a certain region would be cool. Or a vodka tasting. Or a port tasting. 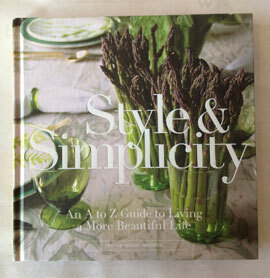 All the possibilities combined with a little creativity can make for an entertaining dinner party. 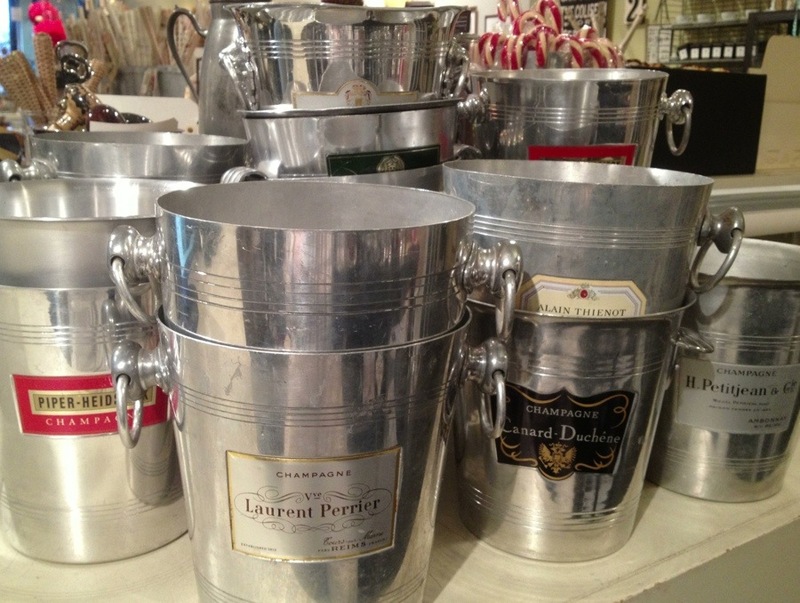 A big shipment of vintage Champagne buckets arrived the other day at Watson Kennedy. Each one with a lovely patina showing years of love and usage. I like these for so many different reasons. 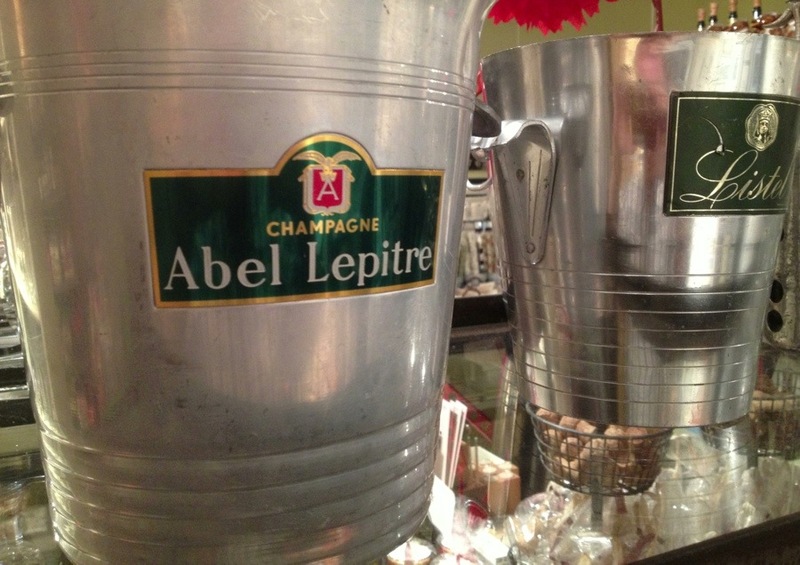 The buckets themselves are quite utilitarian, working for quite a few usages–holding an orchid or amaryllis plant, sitting on a bar as an ice bucket, and of course, holding a bottle of bubbly. The font of the makers is such a thing of beauty. Even just sitting out doing nothing with nothing in it is also an option. They are just such cool looking objects. I always find it entertaining when I read a certain thing has ‘come back’ and I think to myself, “Did it really ever go away?” Such is the case with the champagne coupe. I was flicking through a stack of our monthly magazines and saw it mentioned that they are now back in style. These have been a Watson Kennedy staple. Always. A classic really. A classic never goes out of style in my book. 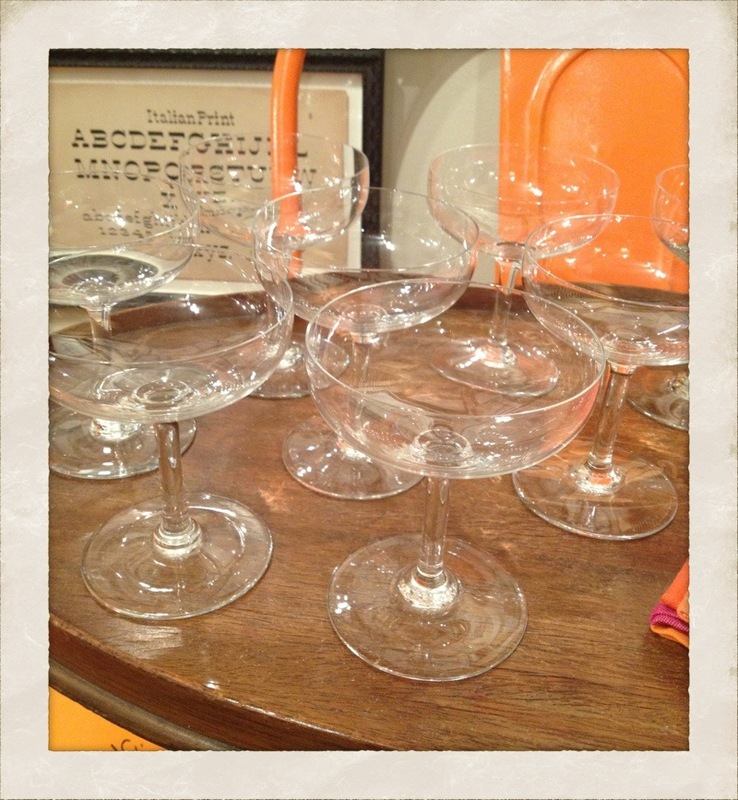 We just added a charming variety of 36 vintage coupes to the shop collection. Some etched, some hollow stemmed, others clean & simple. I love a big silver platter with a variety of them. These work so well mixed and matched. 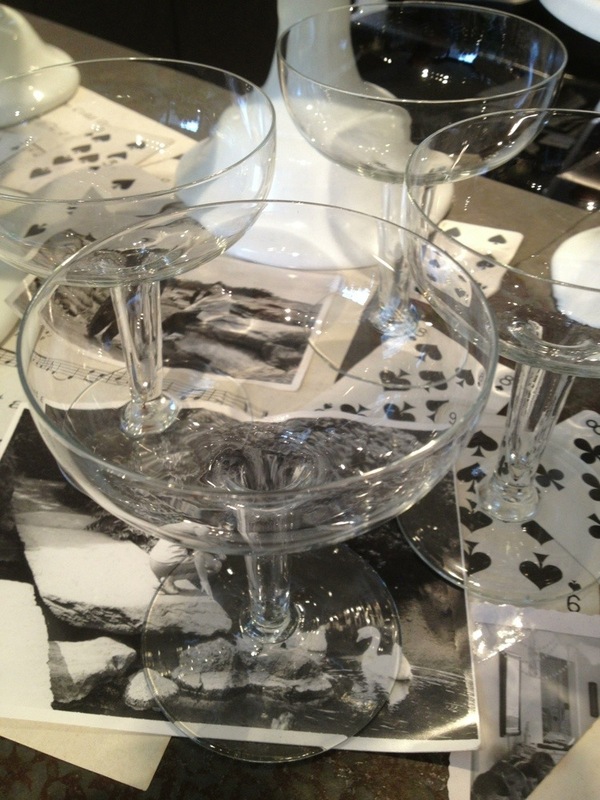 Guests gets to choose what glass they like best. Cheers to a classic! I must admit, posting anything today seems a bit frivolous as my heart is so heavy for all the people affected by the storm back East. But I know for myself in times of stress, viewing a little beauty is always good for the human spirit. So a small entry with a beautiful object will be it for today. 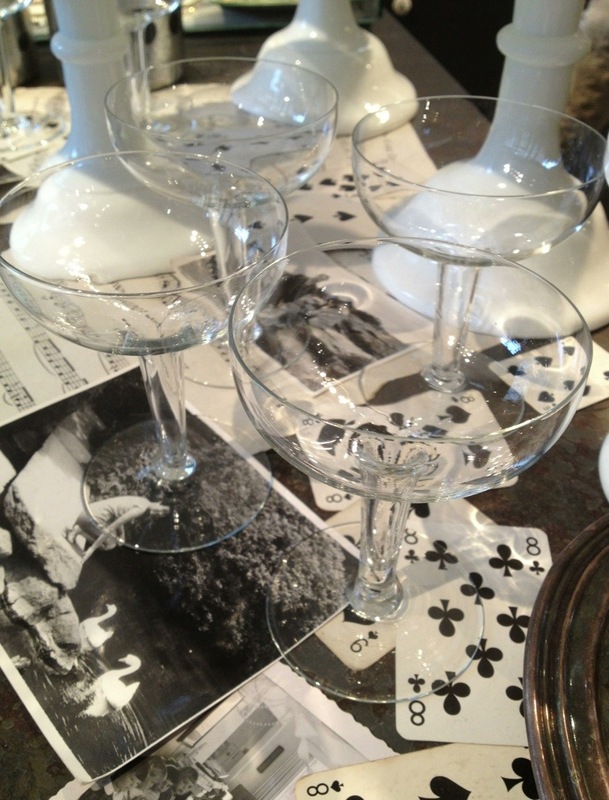 A champagne glass from our ever-expanding vintage Baccarat section seemed fitting, as we will raise a glass after all this has passed, been cleaned up, and hopefully it will all seem like a distant memory for those of you living through it. Sending much love for a speedy recovery to all our family, friends and readers back East. 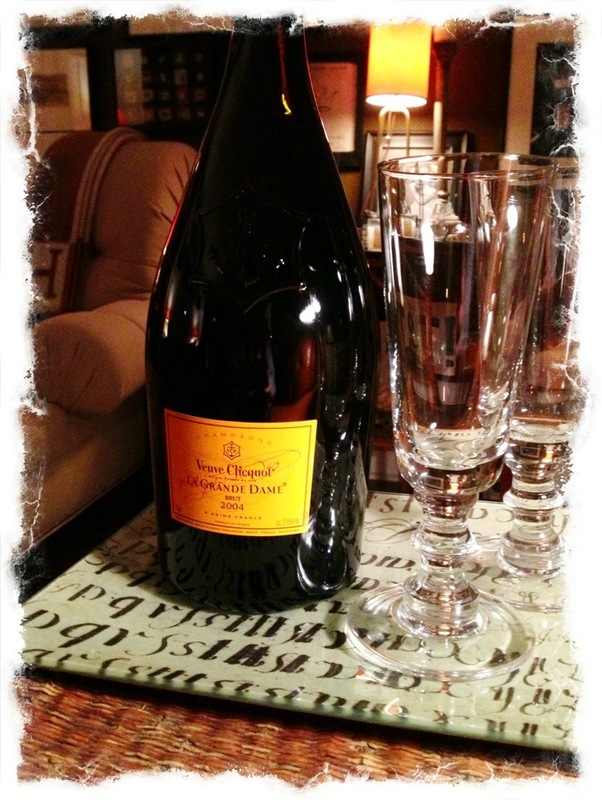 If you have ever been to my shop on First Avenue, you know I have a great love of Veuve Clicquot. 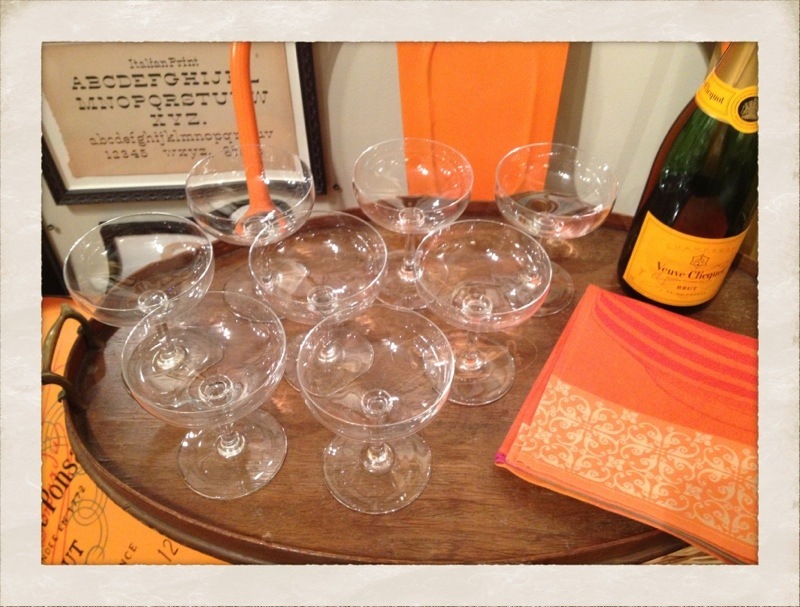 The rows and rows of bottles used in displays along with all the Veuve vintage finds speak to that great fondness. 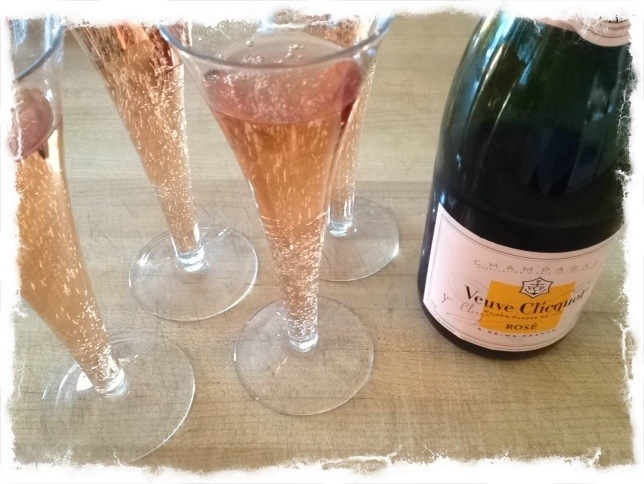 It only seemed fitting that we would say good-bye to rosé season this week-end, starting with a bottle of Vueve Rosé champagne. Frees the senses, charms the eye and ravishes the palate. Indeed it does. It is a real treat to experience. Put it on your list, if you have not tried it already, for when you want to treat yourself or celebrate something special. I think you will adore it. 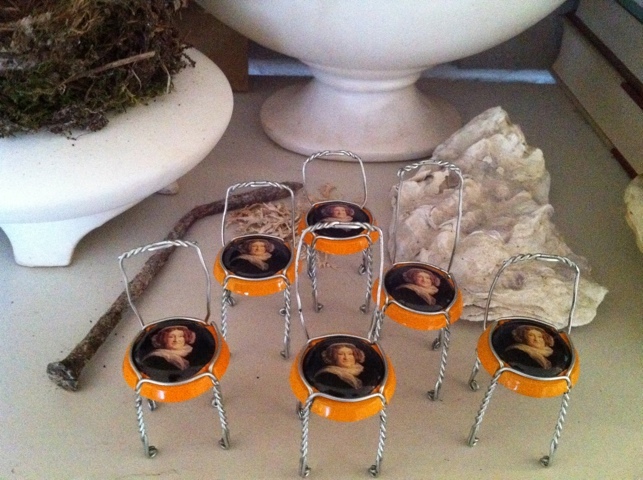 When the world hands you champagne cages, make mini chairs out of them! Such is the case with the slew of cages I collected over the very festive Holiday season. To me, champagne symbolizes a celebration. I love saving the corks, and have amassed quite a collection in bowls around the house and at the shops. The cages can be made into the most delightful little chairs. We use them in the jewelry cases at Watson Kennedy, to play off of the earrings and necklaces. TPS is the champagne chair master, and he makes them while sitting by the fire at WestWard. You just need a pliers to undo the cage. Snip the wire that tightens the cage around the neck, and use it to create a decorative back. You can get as creative and as fancy as you would like. They really are fun. 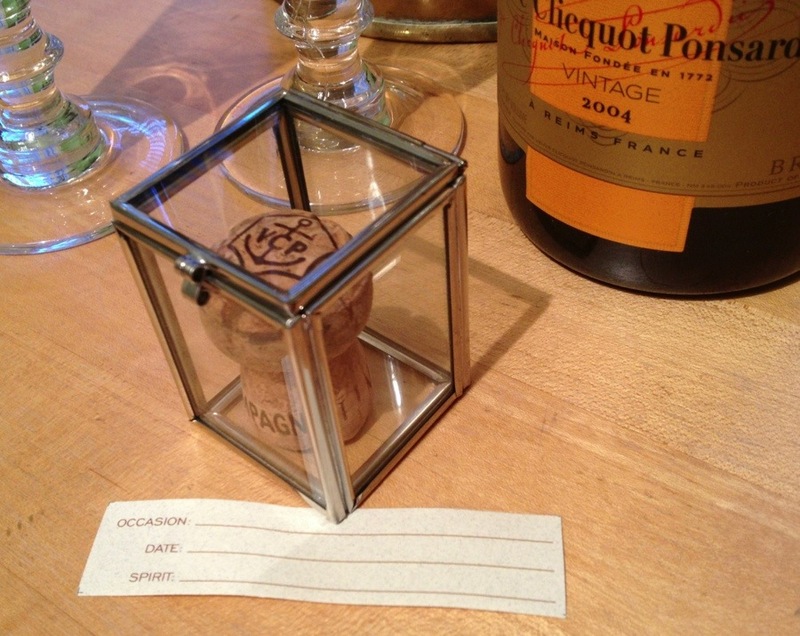 I like to use them as place card holders for when we are having a champagne themed dinner too, and then the guests can take them home as a remembrance of the evening. A well stocked bar can mean much more than having a variety of alcohol & mixer choices. It is also a chance to bring a little style into the area. With more and more people entertaining at home, a gift to jazz up one’s bar set-up can be a winner heading into this Holiday season. Below are a few things we sell that top the list of fun bar gifts. 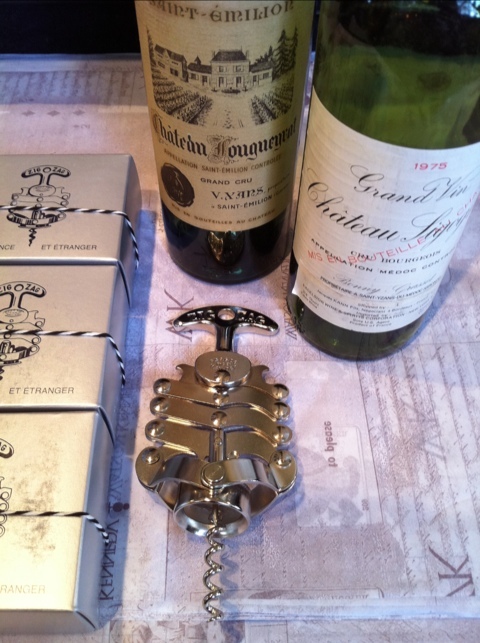 The French Tire-Bouchon Zig Zag wine opener is a classic, and looks great sitting out on a bar. 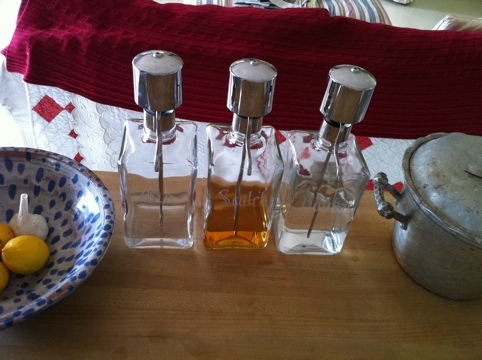 We have a new supplier for these pump decanters, and they now work better than ever. Put your hand over the top of the pump, push down, and it pours a perfect shot. The bottle is etched with a variety of liquors, such as gin, vodka and scotch. This is made for me by a local Seattle guy, Jack, who hand stamps his name on each piece. 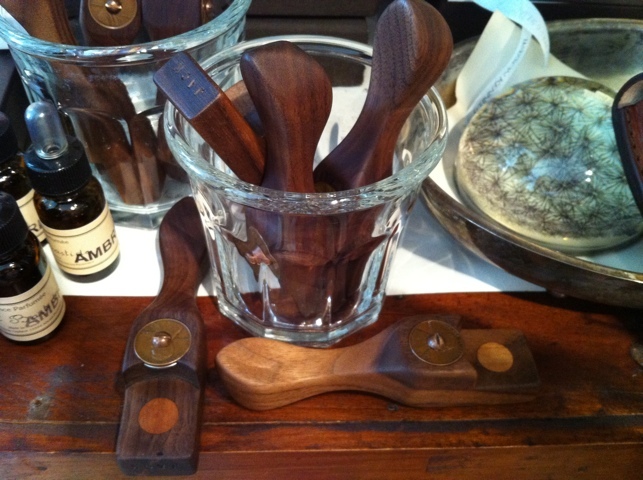 They are bottle openers with a very vintage feel. 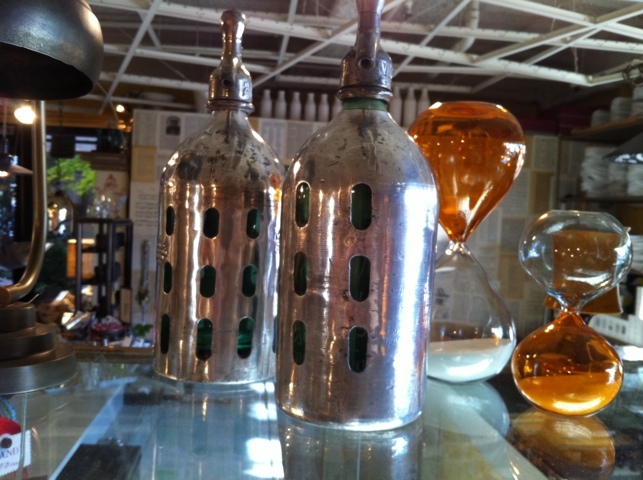 These are vintage non-working seltzer bottles that are metal encased and just have the greatest look to them. 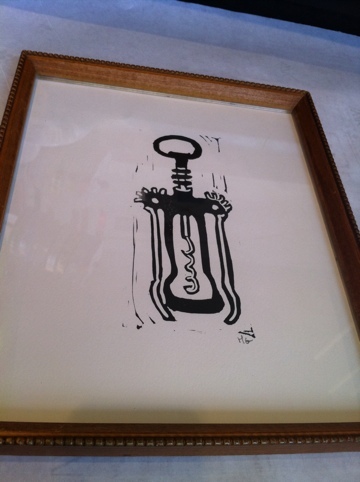 A cut out of a champagne bottle by San Francisco artist Denise Fiedler is always a good thing. As is a piece of art by Hugo Guinness. 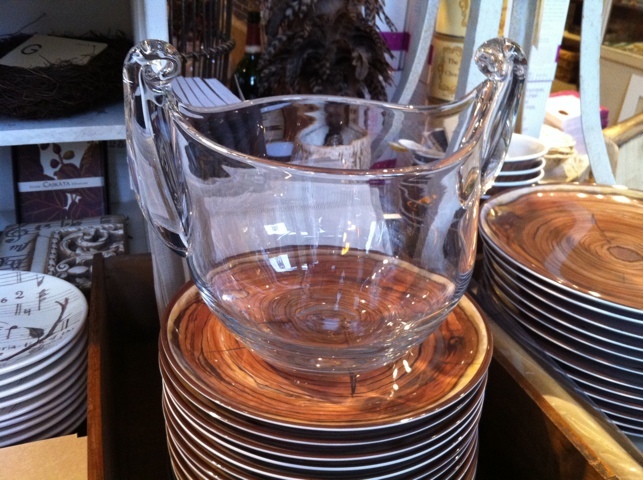 This urn shaped vase would also work great as an ice bucket, and look uber stylish left out on a bar. 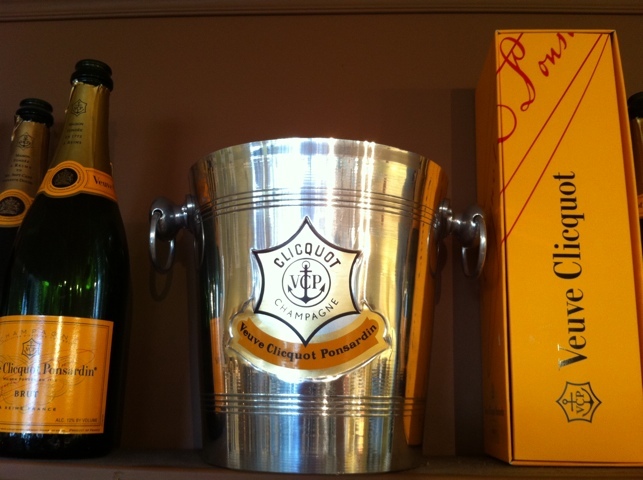 A vintage Veuve Clicquot bucket would make any fan of the widow very, very happy. All of the above are goods we sell at Watson Kennedy. If anything catches your eye or interests you, please feel free to e-mail me directly with questions or call one of the shops. 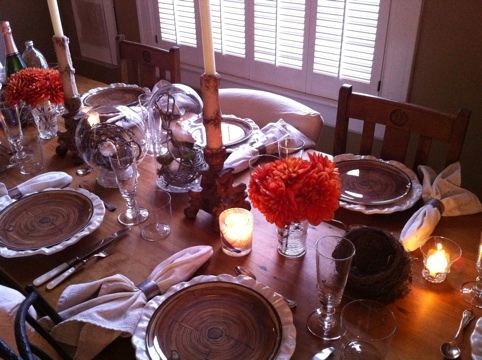 When we have a guest come from out of town, we love to host a dinner in their honor. There is just something about opening your home and cooking a meal that brings folks together in a relaxing & intimate way. In this case, it was to thank Jenine Ferrari from Dempsey & Carroll for coming out from New York and putting on a fantastic trunk show at the shop. 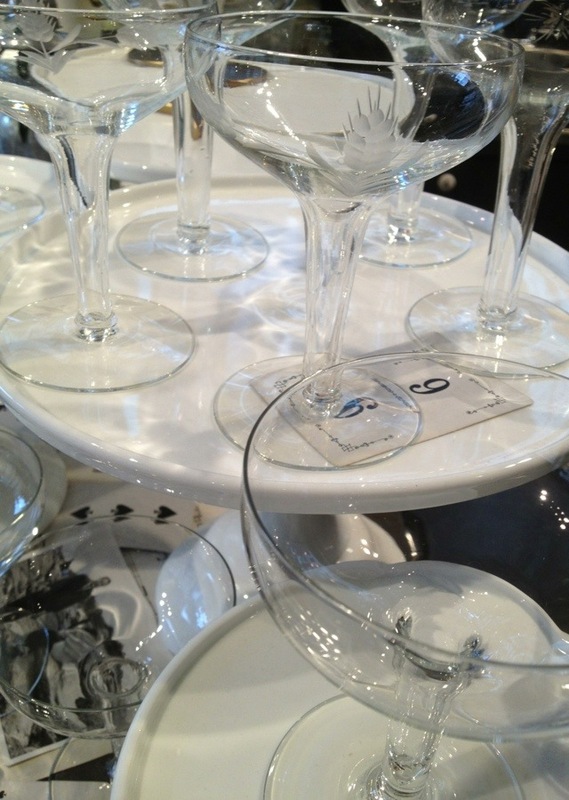 I have been wanting to use these really cool faux bois melamine plates we sell at the shop. 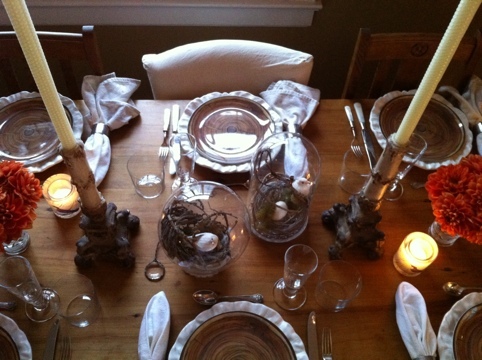 Many times, one element is the driving force behind how the table is put together. The plates were it this time. 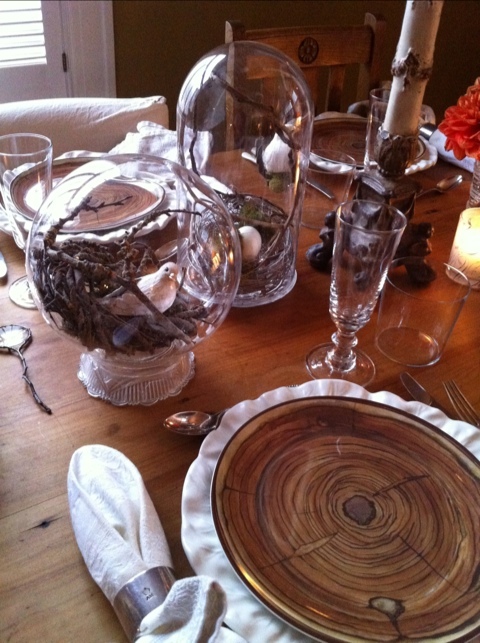 It would be a woodsy, bird nest-y, natural table. The prettiest orange dahlias were at a stall in the Market. This is the latest in the season I can remember dahlias still being around, so I snatched them up–the color really adding to the theme. In the center of the table I put 2 pieces of artwork by Linda Morrison. 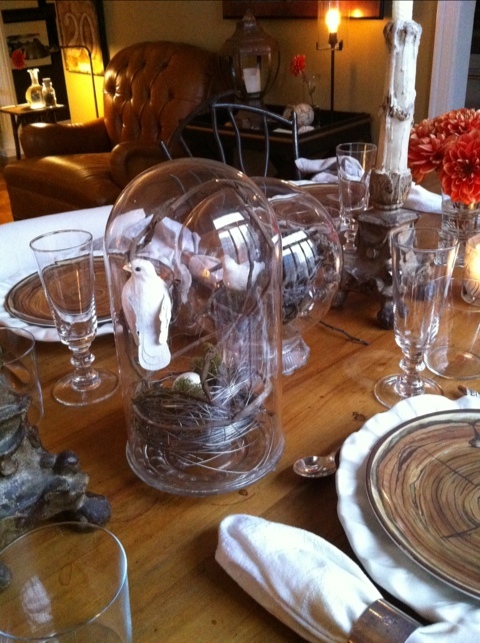 She creates these amazing tableau pieces revolving around birds and nests, and then encases them in a cloche. 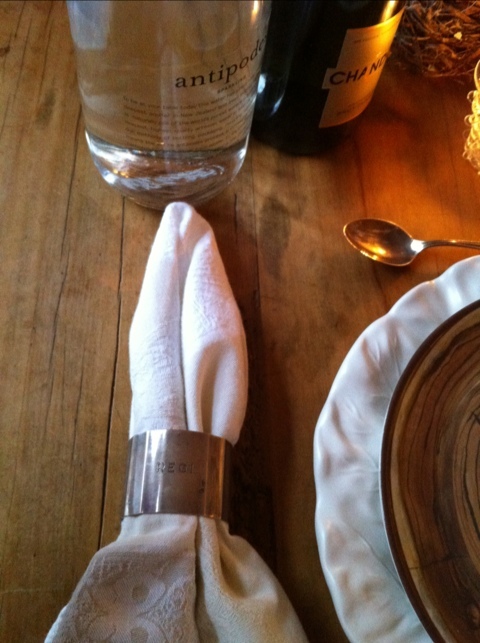 I used these vintage sterling napkin rings that were a wedding gift to Ted’s grandparents, that were given to us by his mom. They are engraved with their nicknames for each other, Regi & Ro. Because of my love of all things bird, friends often give me nests that they find that are abandoned. I put a nest on each side of the dahlia bouquets. 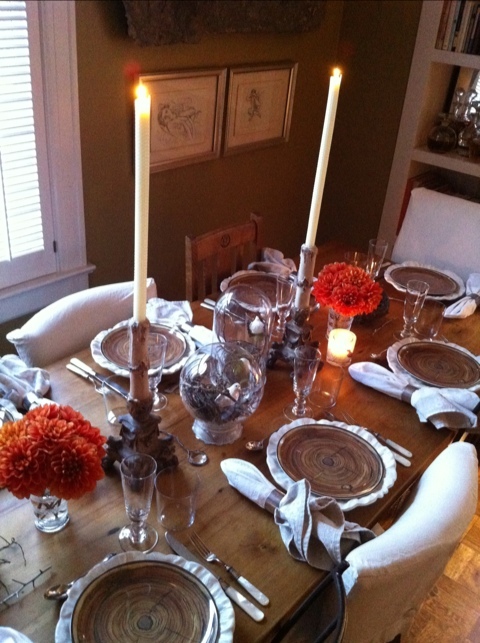 The tall candlesticks with the brown tones filled with the tall cream beeswax candles added the height I like. Mismatched chairs are my ode to “not everything needs to match” plus I like the variety visually. Truly, never let the fact that you don’t have a full set of something stop you from having guests over. 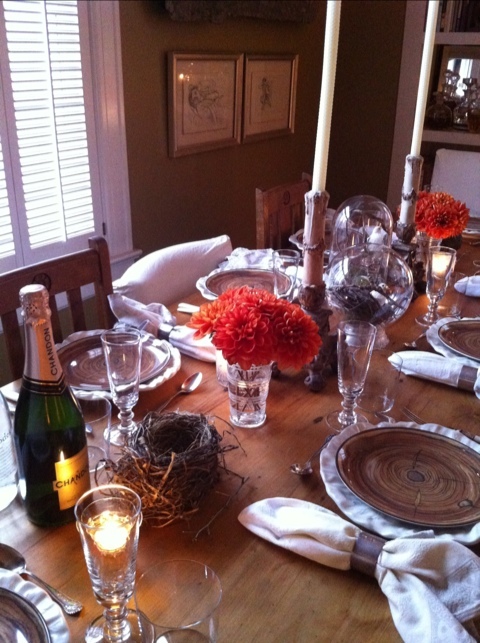 With the tapers lit, it was time to pour the bubbly and get the dinner party started.